Women over 70 are encouraged to make their own appointment by contacting the breast screening service on 0117 414 7070. From January 2011, we started to invite women in the extended age range. Not all women will be invited initially but the roll-out of the age extension is due to be complete by the end of 2016. I am 50 why have I not received my appointment? Once every three years your GP practice will be contacted and all women between the ages of 50 and 70 will be routinely invited. Not every woman will receive an appointment as soon as she is 50. You will receive your first appointment before your 53rd birthday. I am under 50 can I have an appointment? Currently the breast screening programme is rolling out an age extension, extending the age ranges of women being invited for screening from 47-73. This is so every woman will have her first screening mammogram by her 50th birthday. This programme is not expected to be completed until 2016. Women below the aged of 50 should continue to be breast aware. If you have a family history of breast cancer please see your GP who may refer you to our family history clinic. The family history clinic will assess your need for extra mammographic screening. What should I do between breast screens? You should continue to be breast aware, look and feel, learning what is normal for you and reporting any changes or concerns to your GP without delay. Do not wait until your next mammogram. Breast screening will pick up most but not all breast cancer. Why is my screening invitation not exactly 3 years since my last appointment? From time to time changes to the screening plan result in women receiving an appointment slightly earlier than the standard 3 years. 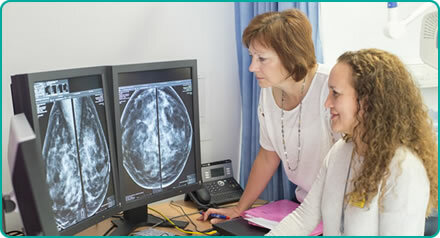 If you believe it has been more than 3 years since your last screening mammogram please contact us on 0117 414 7070. I am 70 can I have an appointment? Yes. The risk of getting breast cancer increases as women get older and we encourage women over 70 to continue with three yearly screening. All women over the age of 70 will need to contact us on 0117 414 7070 to arrange their appointment. Please remember that anyone of any age with concerns about their breasts should contact their GP immediately. If you have received an appointment but it is not convenient, you can change your appointment or contact us on 0117 4147070 to request an alternative location, date or time. If you are over 70 and have not been screened for over 3 years you are welcome to request an appointment or contact us on 0117 4147070 for an appointment.